C.S.T.E.M. Inspired learning for ages 5 and up with hands on experience through creative fun activities and projects. These are mobile Computer and Science Labs set up temporarily to demonstrate fun and simple experiments and activities that get children excited about Science. All experiments are safe and non-toxic. 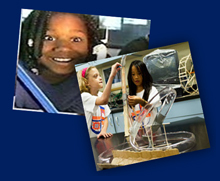 Our areas of study include Design, Building, Strength of Materials, Electrical Circuits, Matter, Magnets, Introduction to Astronomy, Human Anatomy, Genetics, Math Games, Simple Machines, among others. Launch Labs with STEM is uniquely designed to meet STEM challenges head-on. Our creative, interactive format encourages curiosity, exploration, cooperation and a love of learning in our children - who are tomorrow’s innovators and leaders in science, technology and math.